Like Sarah, I love winter decorations that aren't Christmas-specific so that they can stay out well pass Christmas. When I started brainstorming projects for Stitched Holiday, Flurry immediately came to mind. I am proud of Flurry as a design, but the real magic happened when I decided to bring it to life without patchwork. As patchwork it would have been an intermediate/advanced project, and that's not what Stitched Holiday is about. The projects in this course are simple, very achievable makes. The idea is to start and finish them, to be able to integrate them into your family culture this year. So, how did I do it? With grosgrain ribbon. And wool felt! And luxurious melton wool background. Making Flurry was so different than my usual process and so delightful! I couldn't believe how quickly it came together. 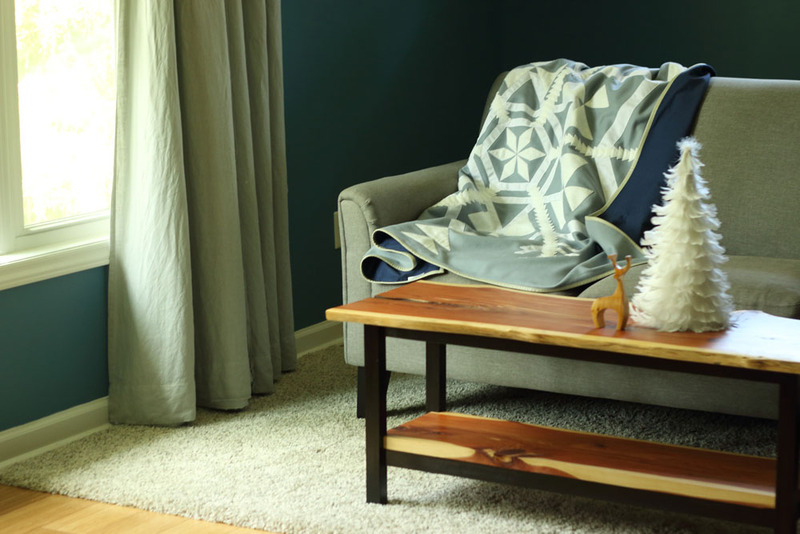 The quilt is warm and cozy as melton wool is a coat-weight fabric. It has incredible texture too. With a simple two-color design, Flurry is a classic piece that will mix well with any decor. I've chosen an understated palette, but you could also do it with a bold colored background. I would have liked to make another one, actually! Maybe I will someday, as a gift! 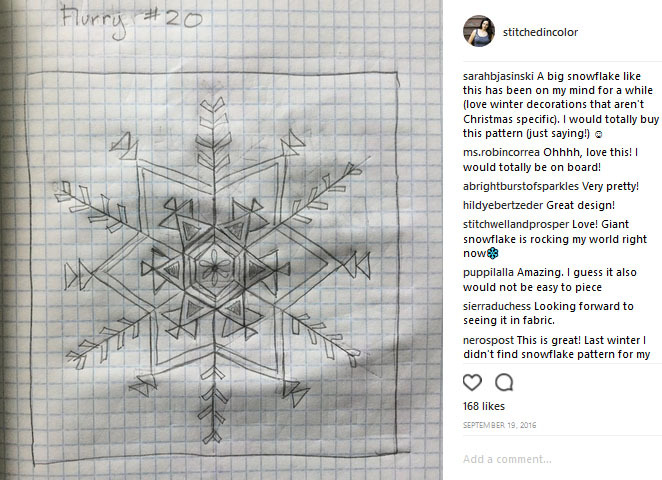 The Flurry Quilt is one of ten projects in Stitched Holiday. We'll be sewing together October-November, though your access to the course materials is open ended. I hope you are enjoying these course previews! Later this week I'll be sharing a special bonus feature available only with this premier course launch. Newsletter subscribers will be the first to hear when registration for Stitched Holiday opens. But, I'll also be mentioning it here, of course. Thanks for reading!